At any time Australia faces threats from a range of sources which in different ways can put our institutions of state, our people, our economic assets and our technology at risk. These hazards include espionage, foreign interference, terrorism, politically motivated violence, border violations, drug trafficking, cyber attack, organised crime, natural disasters, industrial accidents and biosecurity events. 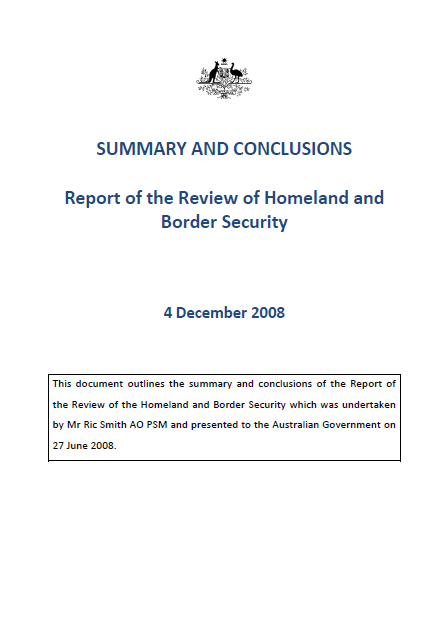 In 2008–09 the Australian Government will spend an estimated $4–4.5 billion in countering, mitigating and responding to these hazards. Some of the threats Australia faces are as old as our society. Globalisation has however magnified many of them and enabled new ways of delivering them. It has also generated new threats. At the same time, expectations of government have grown, and the pace and velocity of government business have increased. 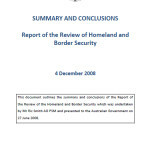 Posted in Asia Pacific, Defence, Federal, Global, Security, Technologies and tagged Australia, Australian Government, Border Security, Border Violations, Cyber Attacks, Drug Trafficking, Economic Assets, Foreign Interference, Globalisation, government business, Homeland Security, Ric Smith, Risk, State Institutions, Technology, Terrorism, Threats.